It was in that year that Bob & Aileen Randall purchased a small rental center on the corner of W. 8th Ave and The Esplanade. At that time the business was known as A&J Rental Center and was half Party Rental and half Equipment Rental. Over the next few years the Randalls built a strong customer base through their friendly and knowledgeable service. In the year 1996 the Randall family decided that A&J “Rental” Center would from that point on be known as A&J “Party” Center and became Chico’s first all party-focused rental center & retail source. A&J Party Center has been synonymous with great events and parties for the last three decades, furnishing your needs for weddings, birthdays, prom, and graduation parties, to grand openings, conferences, concerts, and more. 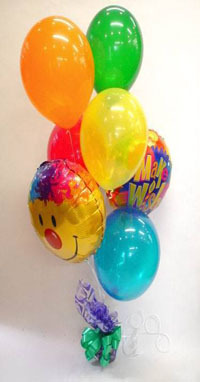 From our home in Chico, A&J Party Center delivers to the entire Northern California Valley. We offer the widest selection of party decorations and rentals in Butte County, and our inventory is constantly growing and changing as we strive to better accommodate our expanding community.